» Pulling a signal low from high looks complicated, HELP! Pulling a signal low from high looks complicated, HELP! As I understand it, pulling a low signal high is child's play. 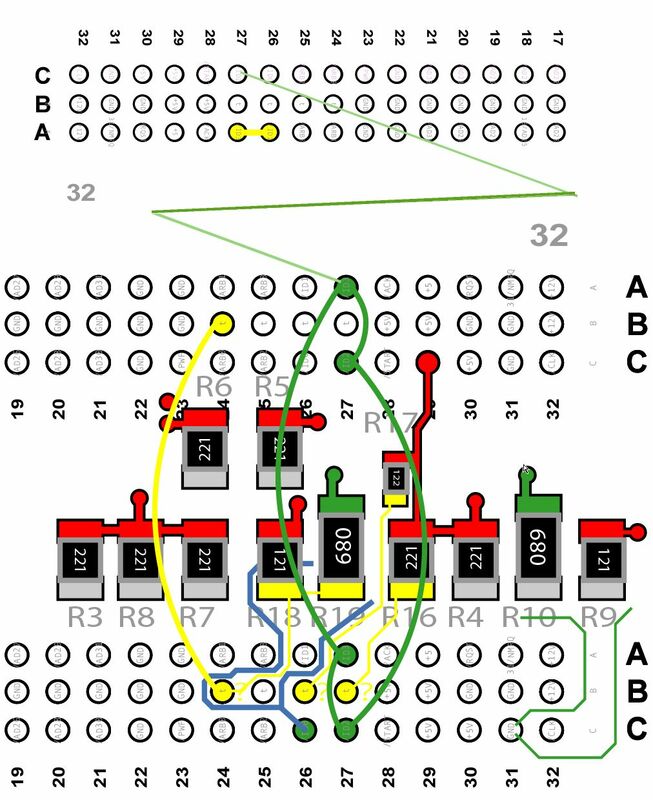 The complexity of changing the state of /ID0 seems ridiculous, branching the signal off to at least two resistors(?) and even to the point of Apple's appropriation/misuse of three normally unused pins! Does anyone have a clue as to why there's so much going on here? Can't find a multi-meter, but the light on the continuity tester shows the two states noted. 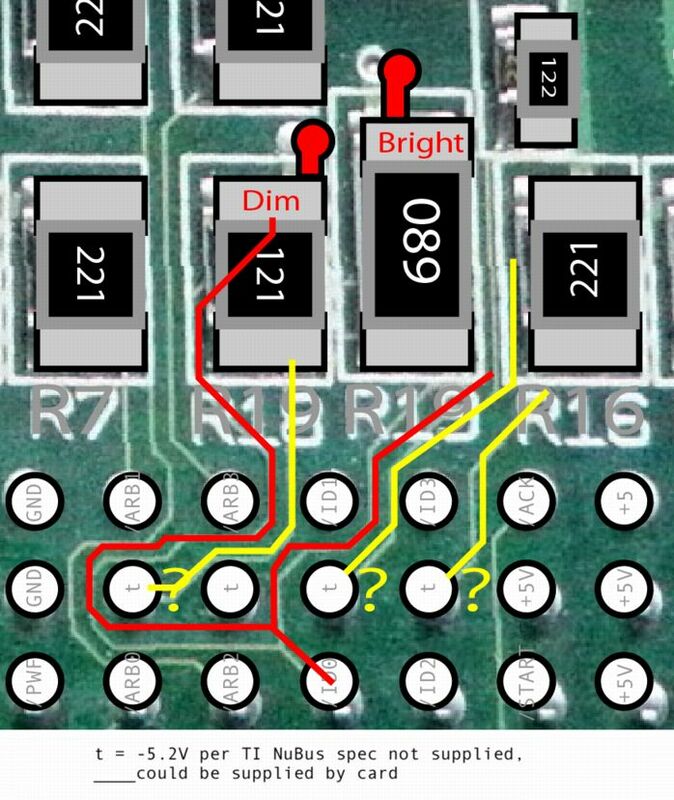 WAG: Apple pulled -5V a/o -12V to this circuit from the other end of the NuBus slot? edit: LOL! Spotted a component numbering boo-boo! Re: Pulling a signal low from high looks complicated, HELP! This is ridiculous! All the yellow crap between the bottom two connectors is connected to pins that aren't even supposed to be used! There's only a dimly lit indication by the continuity tester between the slots and the Duodock interconnect that doesn't appear to be to the correct signal! The swoopy green lines indicate that (NuBus Slot) /ID2 and /ID3 are all apparently tied together to ground on inside layers. WHAT is that branched trace set doing? I'll have to pull off resistors to see where the traces wind up. It seems like an awfully complicated mess just to change the state of one signal!